Helpful links to understand: FAQ How do I get a Display instance? 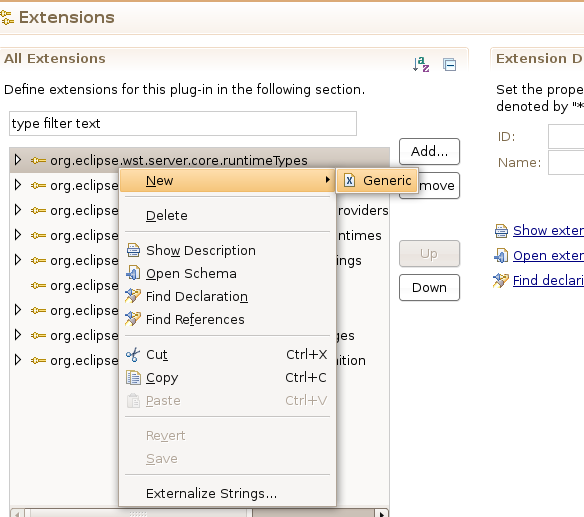 If you are an eclipse plugin developer like me you may have seen this issue time to time. You add an extension point and right click on it -> New -> … shows only “Generic”. This is not all. If you right click on the added extension and click Show Description or Open Schema you will get error messages saying. You might also notice that this is not the case for some of the added extension points. In such extension points you can view the schema get the documentation of the extension point and also the submenu shows the applicable attributes/properties for the extension point. The reason behind this is that the source of the plugins relevent to the extension point are not specified. And for some the source jar/folder for those plugins exists. 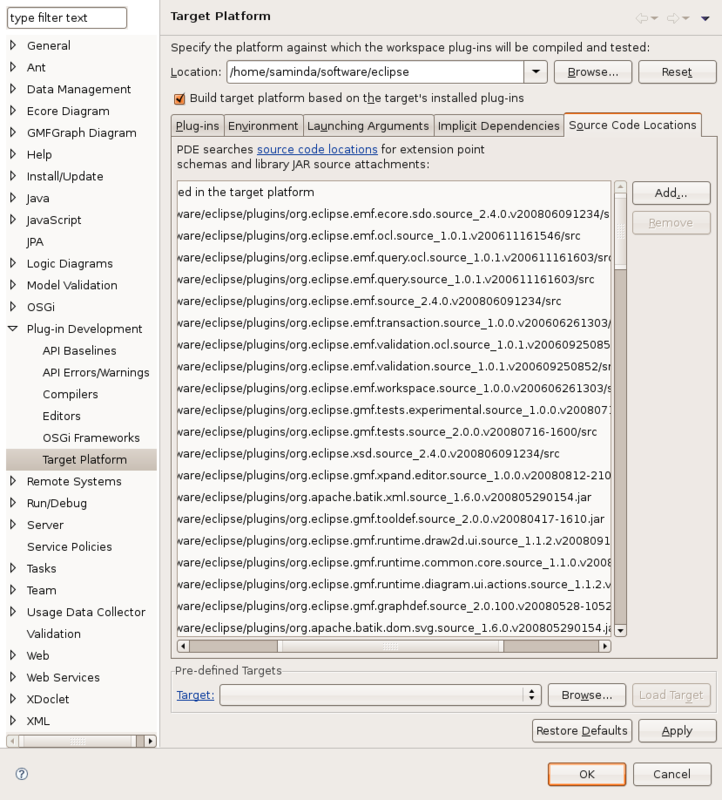 The schema for the extension point exists in the source of the plugin. Unless eclipse knows where to find the souce of the plugin it does not know what are the required properties for that extension point. So the solution is obvious. Give also the source of those plugins to eclipse. There are few ways you can do this. Download the source files and copy them to the respective features folder and plugins folder. click Add and specify the sources. You might have to restart the eclipse after that.